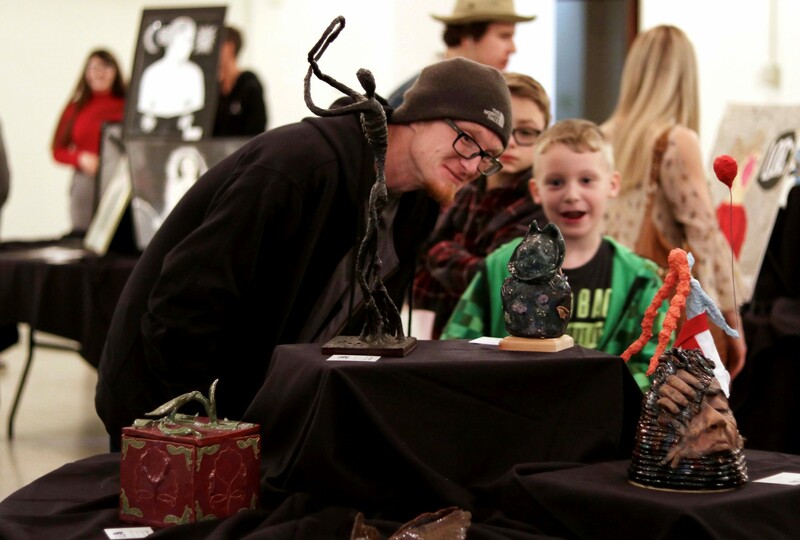 Join the David Owsley Museum of Art and event sponsors Sursa Griner Wealth Management for the kick-off of Art in Bloom 2019 during the April 4th ArtsWalk in downtown Muncie! Julie Vance from Buck Creek In Bloom will create a floral arrangement during the event to celebrate Art in Bloom's signature painting. Stop by to celebrate art and flowers, enjoy refreshments, and learn more about Art in Bloom (May 17-19, 2019). Kevin Titzer is currently the Spring Fellow at PlySpace, an artist residency program of the Muncie Arts and Culture Council. "Nowhere To Be And All Day To Get There" Is the fifth installment of an ongoing project started at the end of 2017 in which Titzer traveled to different communities, such as Guadalajara, Mexico; Bloomington, Indiana; and Quebec, Canada, to create art from local resources. Through the process of scavenging materials and meeting people in the region, he worked to take in the feel of each place and its history. Titzer says, "Often different communities value and discard different things. This makes each installment unique and couldn't be created in any other place or time." Kevin Titzer was born and raised in Evansville, Indiana in the United States, although he has been based in the Saguenay region of Quebec for the last nine years. He has been exhibiting professionally in art galleries for twenty years and his work has been shown in Canada, Mexico, Japan, UK, and across the United States. You can learn more about his work at kevintitzer.com and at www.plyspace.org. The Atrium Gallery is located adjacent to the Atrium Food Court on the First Floor of the Art & Journalism Building. Atrium Gallery hours are Monday - Friday 9:00 am - 4:00 pm and Saturdays 1:00 pm - 4:00 pm. Closed Sundays and all Ball State breaks and holidays. Stop by Beyond Pilates LLC for their Grand Opening from 5-8pm. Stop in to take a tour, meet the owner Kristin Irvine and her husband Jeffrey, ask questions, and pick up a schedule for their group fitness classes, which begin April 8th. Beyond Pilates will offer FREE fitness classes April 6 and 7th. 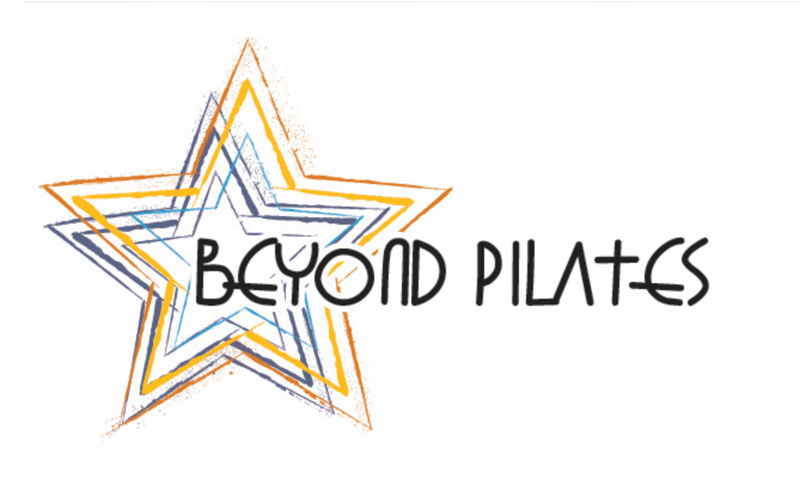 Online registration is open Wed April 3rd - visit their website at beyondpilates.life to book. 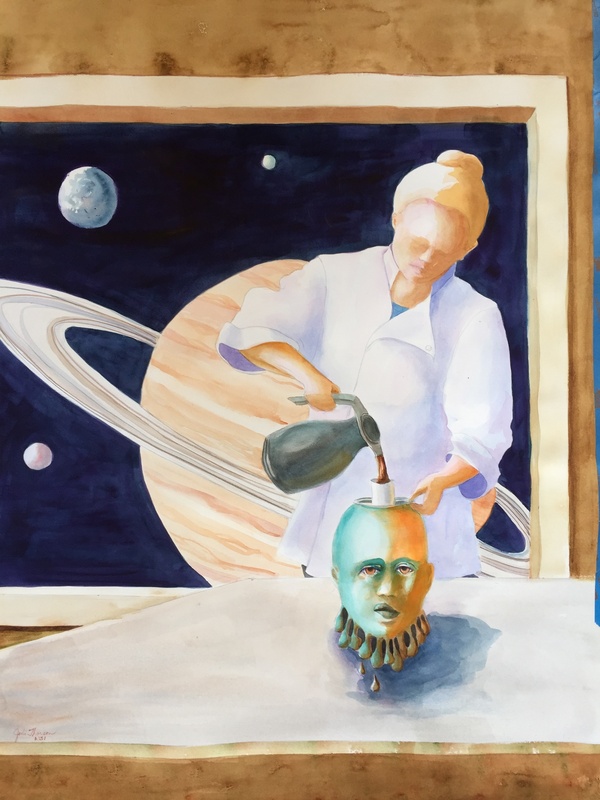 Book Arts Collaborative is publishing a book containing a series of paintings and short, creative non-fiction essays by South Bend artist and writer Kelcey Parker Ervick. 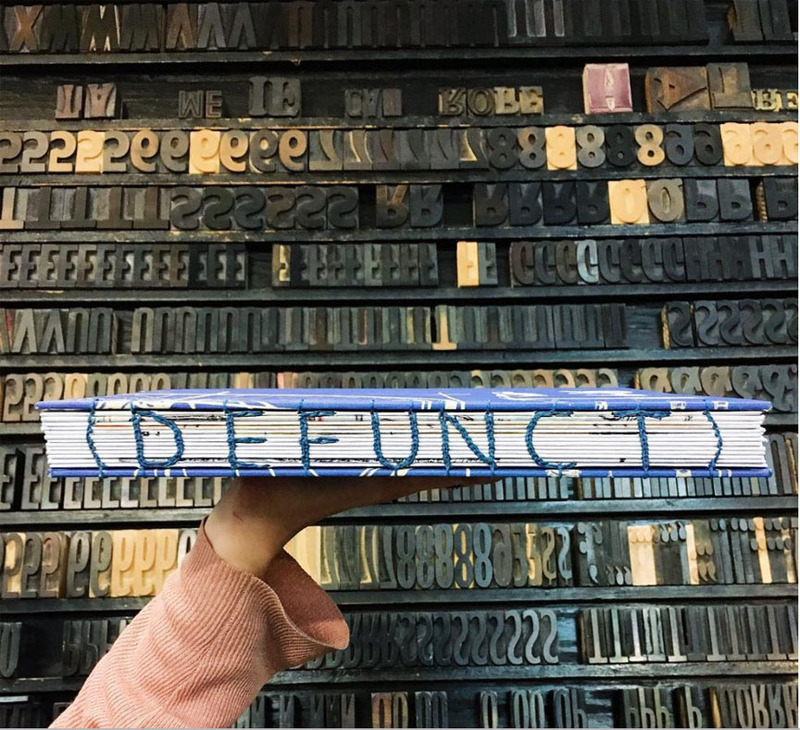 This publication is a true Muncie effort, with type loaned by Tribune Showprint Posters, Inc. and digital images printed at Pengad. Come by the shop to see students hand-stitching the book's title into its Coptic-style construction. 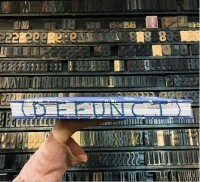 These artists' books are truly unique with covers made from vintage blueprints and slipcovers fabricated out of Tribune's poster over-runs, the structure of the book reinforces its message about devolution and obsolescence in the most fun way possible. Join Cornerstone Center for Arts for their gallery opening honoring the winners of the Young Artist Exhibition. The reception will take place in the Judith Barnes Memorial Gallery on the second floor of Cornerstone from 5-7pm in conjunction with April’s First Thursday events. 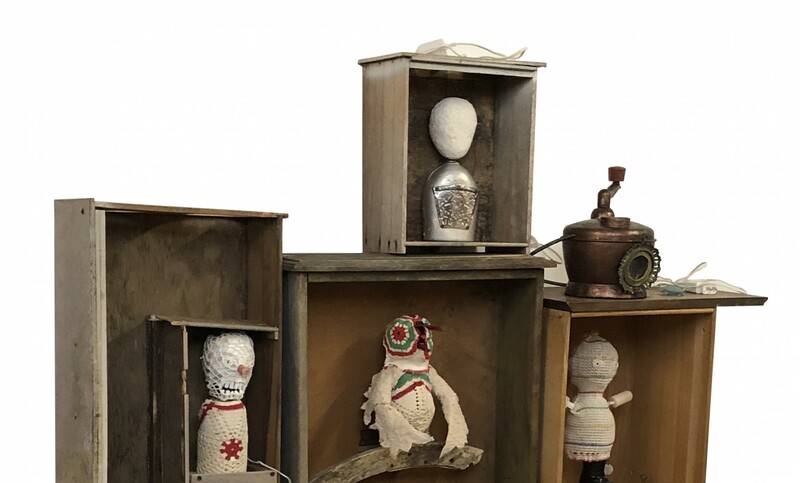 Come by Dame Leo from 5-8pm at Madjax (2nd floor) to see "and from the paper come the spirits" featuring magical wearable art from handmade paper, mixed media paintings featuring 'pink poodle hitchhiking,' and a special doll. Event will be held at 400 S. Walnut St.
Join event presenting sponsors Sursa Griner Wealth Management for the kick off of Art in Bloom 2019 during the April 4th ArtsWalk in downtown Muncie! Julie Vance from Buck Creek In Bloom will create a floral arrangement during the event to celebrate our signature painting. 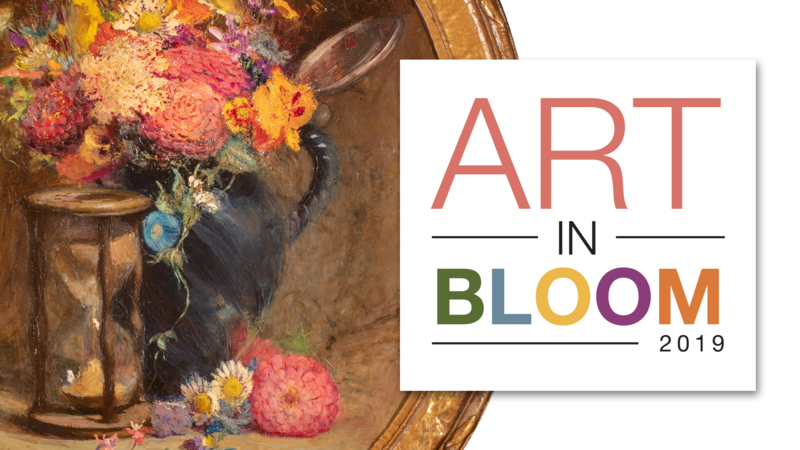 Stop by to enjoy refreshments from Elm Street Brewing Co., celebrate art and flowers, and learn more about Art in Bloom 2019 (which is May 17-19). 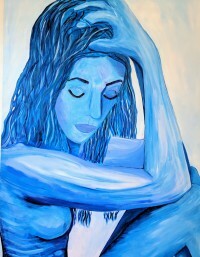 Artist Amy Rocco will show her work at the Fickle Peach for March’s First Thursday. 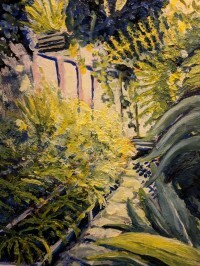 Amy was formally trained in painting knowledge and techniques at her previous institution, Florida Southern College, before transferring to Ball State University with a focus on art history. Taking inspiration from her classes, she is a portrait artist using bold colors and mixed mediums to bring life and modernity to her paintings. These expressive contemporary portraits focus on representing the female form with the intension of transmitting emotion to the viewer. Forever Young will be open late from 5-7pm for a Sidewalk Sale. 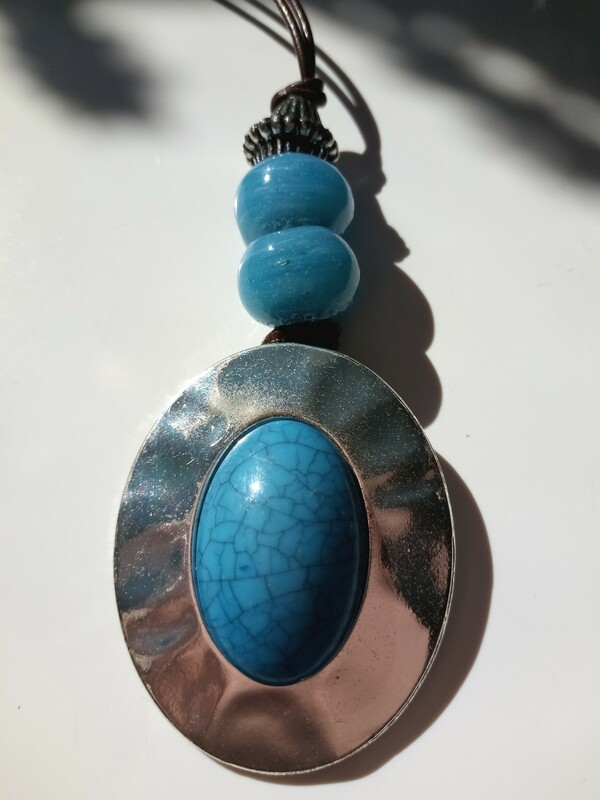 Local artist and educator Debra Gindhart will feature her repurposed and recycled Green Glam Studio jewelry again during April First Thursday. Gindhart is an avid reuser of many elements, proclaiming her personal pledge to save the landfills one piece of costume jewelry at a time. Debra believes one should either be a work of art, or wear a work of art. She will feature pendants and earrings and a new NOPE collection of red, white, and blue baubles. 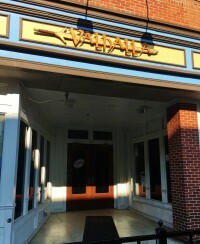 20% of jewelry proceeds will support the Bailey for Mayor campaign. 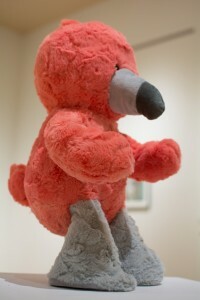 Meet the artist and enjoy light refreshments from 5-8pm. Gordy Fine Art & Framing Company will open an exhibition of new paintings by artist Alfredo Marin-Carle, Thursday April 4, 5- 8pm. Marin-Carle joined the faculty at Ball State University in 1985 teaching graphic design in the Journalism department. He is now Associate Professor Emeritus and resides in Indianapolis. Throughout the evening, he will be on hand to engage with viewers and answer questions. At 6:15 he will speak briefly about his work. Light refreshments will be served and the public is invited to attend. 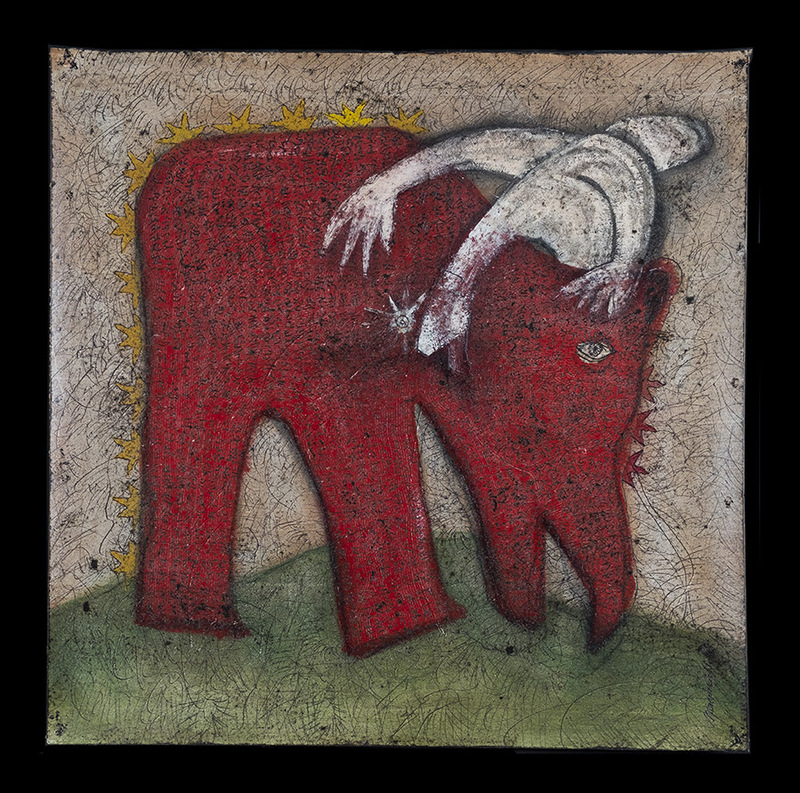 The exhibition will remain on view with works for sale throughout the month of April. Gordy Fine Art and Framing Company promotes talented artists, provides appraisals, and offers expert design and craftsmanship for framing and displaying treasured family possessions and works of art. Business hours: Monday through Friday, 9 am – 5:30 pm, Saturday, 9 am – 3 pm. Gordy Fine Art and Framing Company is located at 224 East Main Street, next door to Muncie Civic Theatre. For more information, visit www.gordyframing.com or call 765-284-8422. It's spring and that means there is some banjo playing going on somewhere. Come to Grace Episcopal Church (corner of Adams & Madison) at 7:30pm to hear Ric Dwenger, a local performer play ballads and folk music. Ric plays both the banjo and guitar. He is a talented singer and song writer. Donations this evening will be given to A Better Way. Also there will be gently used LPs for sale. Come walk down memory lane and take home an old favorite. 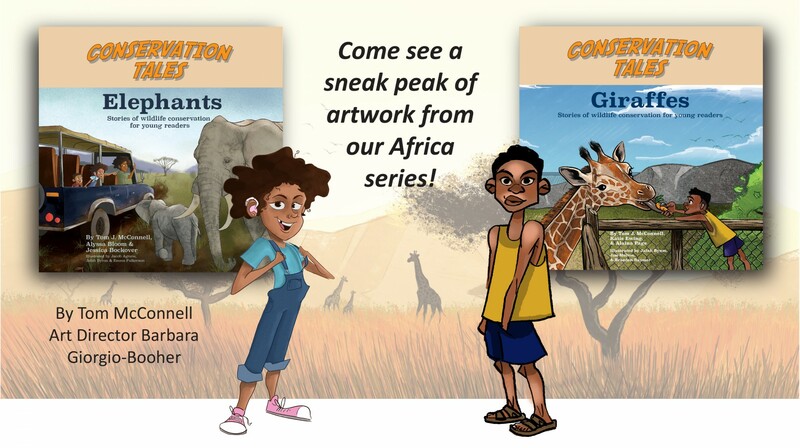 Join Conservation Tales and see a sneak peak of artwork from the Africa series about Elephants and Giraffes. Meet art director, Barbara Giorgio-Booher, and our team of illustrators, designers, photographer, and educators. The event includes an art exhibition, children activities, and books will be available to purchase, including the Manatee Match Card Game. MFA School of Art Open Studios: Interested in seeing how artwork comes to life? Have you ever wondered about the process to create an animated film, or wanted to see the sketches and planning that go into a developed artistic vision? 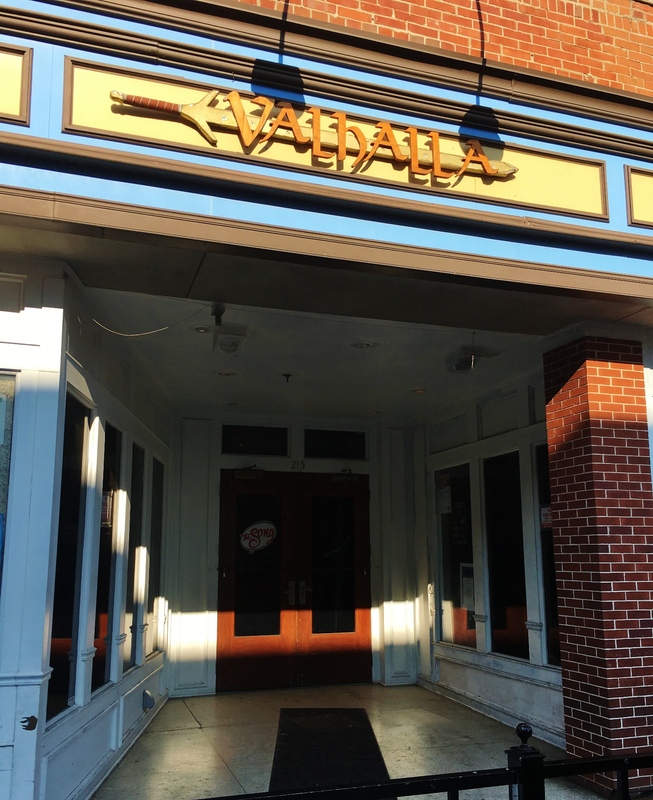 Ball State School of Art MFA Candidates will be hosting open studios at MADJAX Muncie on First Thursday, April 4th from 6pm - 8pm. Exhibiting artists include: Dakota Blose, Rachel Carter, Sam Chumley, Ben Fulcher, Jennifer Hathaway, Breeana Hinton, Emily Thornton, and Seul Yi. The community is invited to meet the artists and explore works in progress, ask questions, and learn about the ideas and processes behind the projects as they develop. The artists will be displaying works in animation, 3D modeling and design, ceramics, and metalsmithing. The work being shown are samples of projects that the MFA candidates have been working on throughout their time in the graduate program at Ball State University. The artists will also be demonstrating their work process and will be selling artwork such as jewelry, prints, and caricatures. This event is open to the public and refreshments will be available. Motivate Our Minds Community Garden: GROUNDworks: Motivate Our Minds, Ball State, and community members are developing spaces for play, gathering, and gardening in the Whitely neighborhood east of the Shaffer Chapel. Landscape architecture, architecture, and interior design students will exhibit work from their GROUNDworks design build class. At the CAP Makes Muncie Makes workshop at Madjax, students in grades 4-8 from Motivate Our Minds will exhibit work from their after-school club, “We Think It, We Make It,” led by Ball State architecture professors and their students. Students will be constructing concrete pavers and animal sign chalkboards in continuation with a series of designs for the community garden being planned adjacent to Shaffer Chapel. 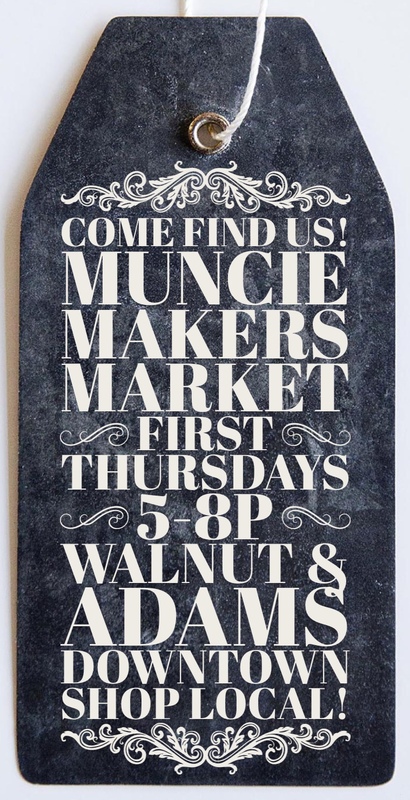 The Muncie Makers Market is happy to be a part of Muncie’s First Thursday community events, thanks to an invitation to take over the sidewalks in front of the Muncie Map Co., at 111 East Adams Street, in Downtown Muncie. We set up on the SE corner of Adams and Walnut Streets from 5-8p on the first Thursday of every month. Plenty of nearby free parking! I’m really excited for us to have this opportunity and I am really hoping we get a nice evening of weather for the 4th. I will be hosting our kiosk of consignment items inside the Muncie Map Co. during First Thursday and I also invite everyone to join me there to see what we’ve got going on inside as well. 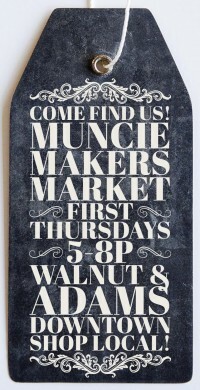 First Thursday is a popular local tradition, going years back, with all sorts of vendors, artists, and entertainers set up throughout all of Downtown Muncie inside and outside of various shops, restaurants, bars, and other businesses. It’s fun! I hope to see you all next week! 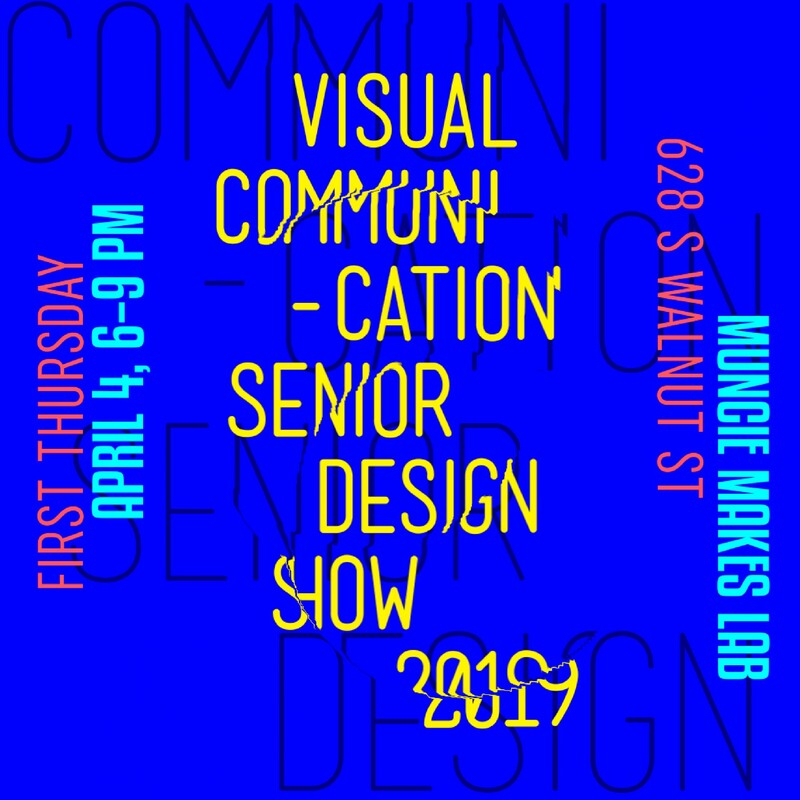 Join us for the BSU Visual Communications Senior Design Show from 6-9pm at the Muncie Makes Lab with a juror presentation at Ball State’s Arts and Journalism Bldg. Room 225 at 5pm. The Senior show is an exhibit by the graduating class of Graphic Design students at Ball State University, School of Art. 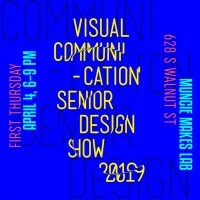 Students will show their capstone design campaign, a multifaceted project that will represent the culmination of their design education by demonstrating a connection between academic theory and practice of design. 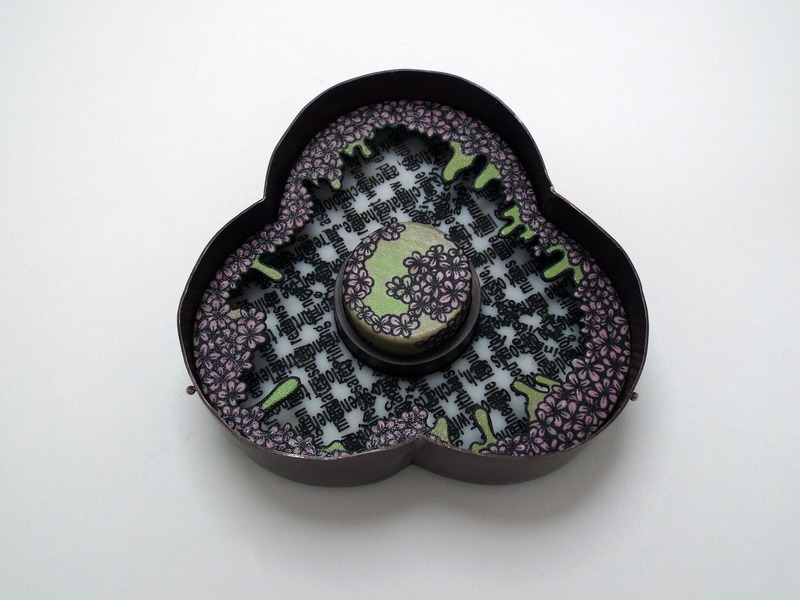 This year we are inviting Bryony Gomez-Palacio to judge the student work and give awards. About the Juror: Born and raised in Mexico City, Bryony Gomez-Palacio is a graphic designer and writer now living in Bloomington, IN. She is co-founder of UnderConsideration—a graphic design firm and publishing enterprise all rolled into one—where she manages the behind-the-scenes of the online network comprised of Brand New, FPO, Quipsologies and The Art of the Menu. Bryony has co-authored five books with her husband and partner, Armin Vit—their most popular titles being Graphic Design, Referenced and the self-published Flaunt. Most recently, they conceived and presented the Brand New Conference, the Brand New Awards, the FPO Awards, and the recently launched lecture series by The Austin Initiative for Graphic Awesomeness. Bryony enjoys conducting workshops and lecturing when not tending to her two young daughters and their crazy schedules. As part of the PlySpace 2019 spring programming, the public is invited to explore and interact with an exciting, family-friendly installation and exhibition by PlySpace Resident Fellow, Kevin Titzer. Nowhere To Be And All Day To Get There will open on Thursday, April 4th, from 5 - 8 PM at the PlySpace Gallery (608 E. Main Street), as part of the April First Thursday in downtown Muncie, Indiana. Light refreshments will be served, and the artist will speak about his work at 7:00 PM. PlySpace is an artist-in-residence program of the Muncie Arts and Culture Council which provides artists a space to create and connect with the Muncie community through collaborative projects. Nowhere To Be And All Day To Get There is the fifth installment of an ongoing project started at the end of 2017 in which Titzer traveled to different communities, including Guadalajara, Mexico; Bloomington, Indiana; and Alma, Quebec, Canada, to create sculptures using local resources. Through the process of scavenging materials and meeting people in each region, he worked to capture the feeling and history of each location through an installation using its objects and refuse. About the site-specific nature of this project, Titzer says, "Often different communities value and discard different things. This makes each installment of this project unique and impossible to create in any other place or time." The installation at PlySpace reflects the time Titzer has spent in Muncie using found, donated, and scavenged materials from the area. The found-object sculptures and structures in the installation will feature interactive elements, electronic movement, or sound, which can be activated by the viewer. Titzer says his final exhibition is a mix of his own experiences and reactions while at the PlySpace Residency in Muncie. "I'm left with an amalgam of images that filters through the studio. What emerges is an impressionistic view of my time spent in a specific region. In this respect, the art often reflects aspects of that community, but isn't a one-to-one portrait per se." As the PlySpace Resident Fellow, Titzer has been collaborating with Ball State University School of Art Students in two 3D Foundations classes to explore the use of alternative materials in sculptural practice. 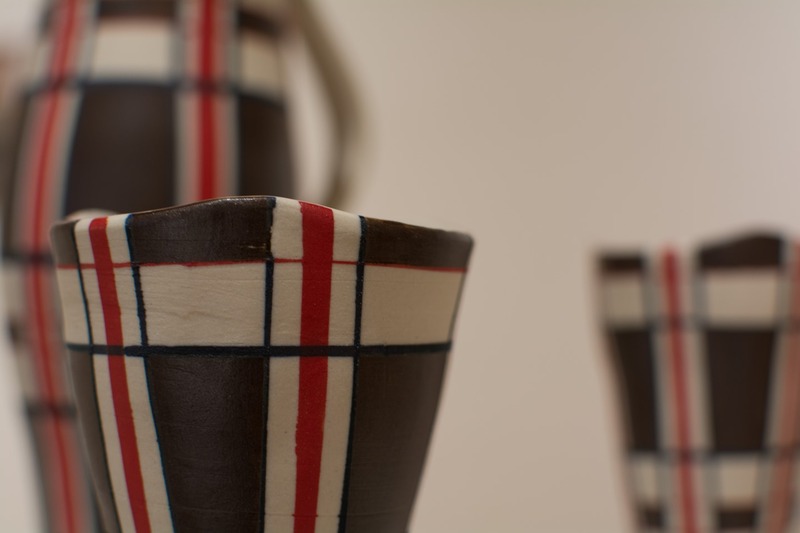 Through a series of workshops and class visits with the students, he has discussed how found and scavenged objects can be creative catalysts for sculptural ideas. Each student will design and craft a different found-object bird sculpture which will contribute to the final exhibition. Kevin Titzer was born and raised in Evansville, Indiana in the United States and has been based in the Saguenay region of Quebec for the last nine years. He has been exhibiting professionally in art galleries for twenty years, and his work has been shown in Canada, Mexico, Japan, UK, and across the United States. You can learn more about his work at www.kevintitzer.com and on the PlySpace website at www.plyspace.org. Inspired by Orchids is the newest exhibition opening at Ball State University’s Dr. Joe and Alice Rinard Orchid Greenhouse. Featured works have been inspired by the tropical environment of the Rinard Orchid Greenhouse. 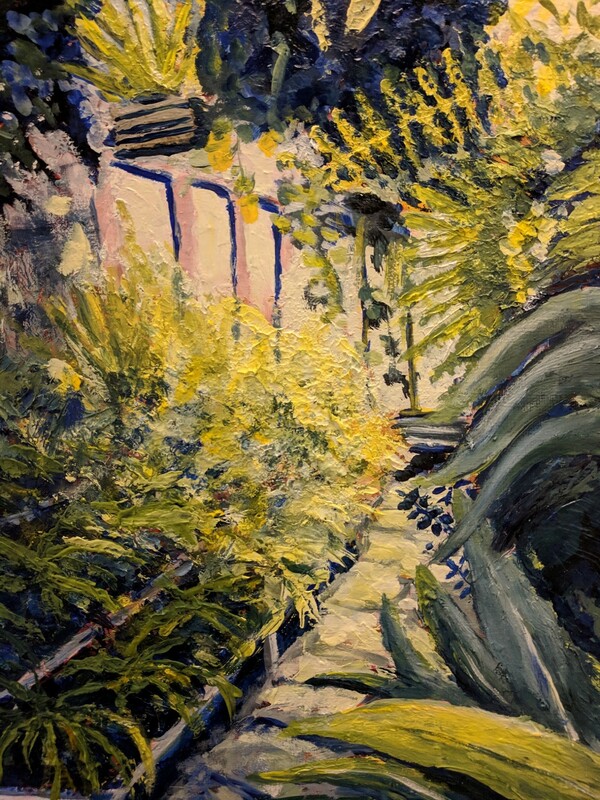 Join us from 4-5pm for an artist’s reception where visitors can discover a selection of works of Ball State art students and local artists whose works have been inspired by the variety of shapes, colors, and textures in the greenhouse. 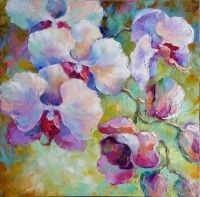 Inspired by Orchids is a compilation of works created by Ball State University drawing and painting students. Take a peek into the (local) tropics to enjoy these works of art. Parking is available near Christy Woods on the Ball State University campus. Free and open to the public. April 4; Member reception from 6–7 p.m.; Presentation from 7–8 p.m.
Amy Stewart is the author of “Wicked Plants: The Weed that Killed Lincoln’s Mother and other Botanical Atrocities.” This best-selling book has been transformed into a fun-filled, family-friendly traveling exhibit that gives visitors a safe, hands-on experience with some of the world’s most diabolical botanicals. Wicked Plants: The Exhibit is being housed at Minnetrista until May 19. Come listen to Amy discuss her book and the exhibit on April 4. Amy’s book will be available for sale at the event. 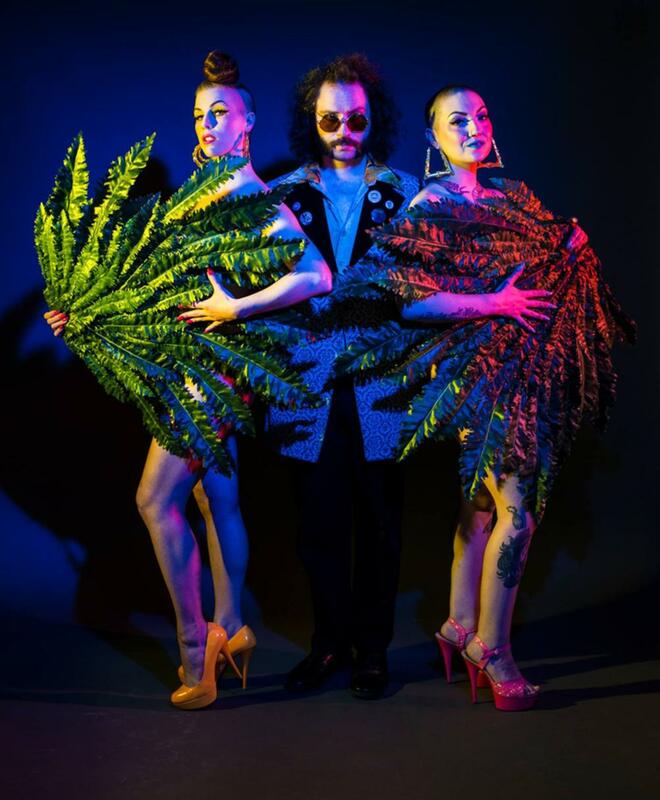 Luxotica Lounge Cabaret is a lush burlesque show featuring stunning variety talent, with a twist. Enjoy a little circus and a lot of seduction, set to exotic original tunes performed live, that turns classic cabaret on it's head. Featuring the internationally touring Whirlwind with the Crimson Grin, Vivacious Miss Audacious, bump and grind bombshell Gurl Haggard of the Rocket Doll Revue and special guests. The swinging 4-piece band is headed by knife juggling, saxophone wunderkind, Dr. Rocktagon.